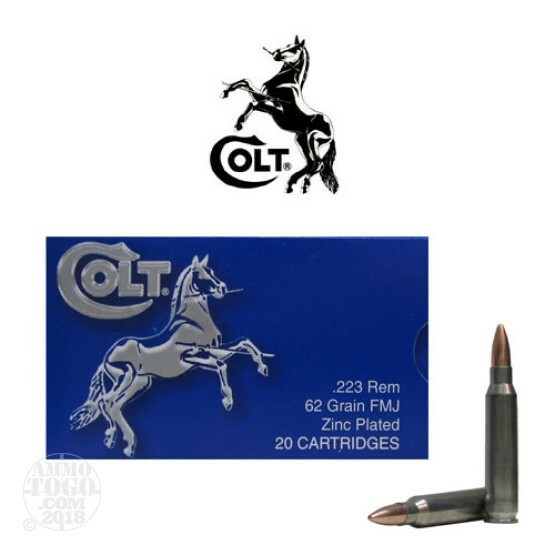 This is .223 Colt 62gr. Full Metal Jacket Ammo. This ammo has a zinc-plated steel case and is non-corrosive. The Zinc plating ensures smooth feeding and extraction. Reliable ignition and functioning in adverse conditions. Save money with these high quality economical loads. This is good plinking ammo. It comes packed in 20rd. boxes, 500rds. per case. Great rounds,fantastic price! Very little carbon residue. Indoor range wouldn't let me fire them but great otherwise! This is very dirty ammo. Stick with the ak for Russian ammo. If you have an ar15, you better like cleaning.